Last Sunday Joellen turned double digits! She was pumped to be the big 1-0. If turning ten is not exciting enough, it was made that much sweeter by having my parents here to celebrate (the kids call them Mimi and Jaybird). When Joellen woke up, we asked her what she wanted to do on her big day. She said, “I want to go to a volcano!” So we all ate a quick breakfast and then piled into the Subaru. Marc and Cam crammed in the way back in the trunk and Joellen got to sit in a seat since it was her birthday. We drove an hour to the Poas Volcano with fingers crossed that we would be able to see the crater. Many times this volcano is covered in clouds and you can’t see diddly-squat. We lucked out that it was a clear day and we were able to see right into the crater. After the volcano, we drove back home and it was time for cake. The lady next door to us, Dona Edith, had her 6 year old granddaughter over for the weekend and Joellen wanted them to come over to celebrate. Dona Edith is like a grandma to Joellen so it was special to have her there. And here is a photo of Joellen with Mimi. I just love this one. Maybe it’s just me, but I think they look alike. And boy do they act alike. They have the same personality and even have many of the same mannerisms. Joellen calls Mimi her twin. And finally a picture of Joellen with the proud parents. Words cannot describe how much Marc and I dig this chic. She is 100% pure sweetness. Joellen, ten years down…many more great years to go. We love you. Te amo mucho. 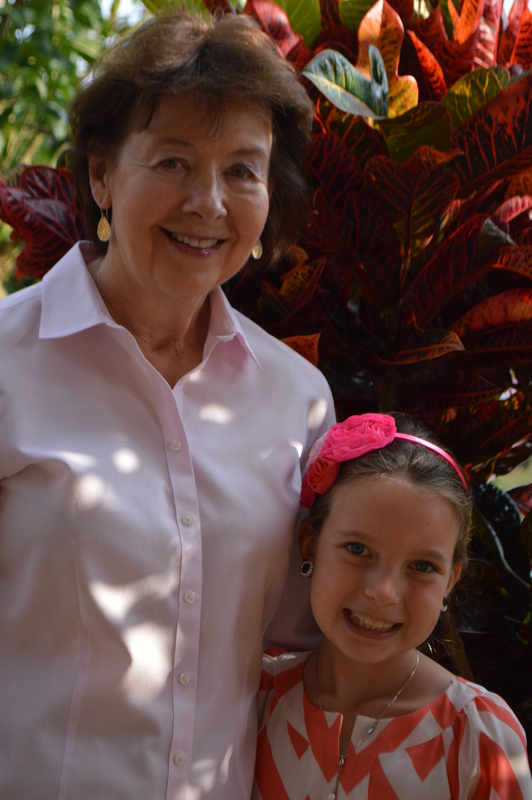 A late Happy Birthday Joellen..Volcano visit, what a great idea for a special day…Any Thanksgiving events? Sorry I was not able to read your blog as often as I wanted to throughout the fall. I am catching up on all your adventures now! I hope you had an amazing birthday Joellen! I miss all of you too! Happy late birthday Joellen. I miss you so much! I moved too because of my dad’s job I moved to a house in Kentucky so not as fun as moving to a sail boat! I didn’t forget your birthday I miss you. Bye. Jayne, I couldn’t agree more. What a fun and crazy family we have. Love you all!!! Happy Birthday Joellen! How cool to visit a volcano on your bday. Great pics! Happy Birthday!!!! What a great celebration–and she sure does look like her Grandma! So sorry to have missed it, but hope it was a very happy birthday, Joellen! Miss you and love you lots. Hugs from Stephanie and Bob and the 4 legged girls on September Song. Great pictures. Loved the earrings you are wearing with your Mimi. Can’t wait to see all of you next summer. Still safe. Kelly!!! So great to hear from you. Would love to see you next summer when we are back in Indy visiting!!! Happy birthday Joellen! Have a great time Joann and Jay! Thanks Mrs. Mendicino! My parents are indeed having a great time. Happy Birthday to Joellen! It looks as if she had a special celebration! Good pictures of JoAnn and Jay too! Jean and Bill took me to see the Poas Volcano, but we only had a fleeting view of the volcano because of the clouds. 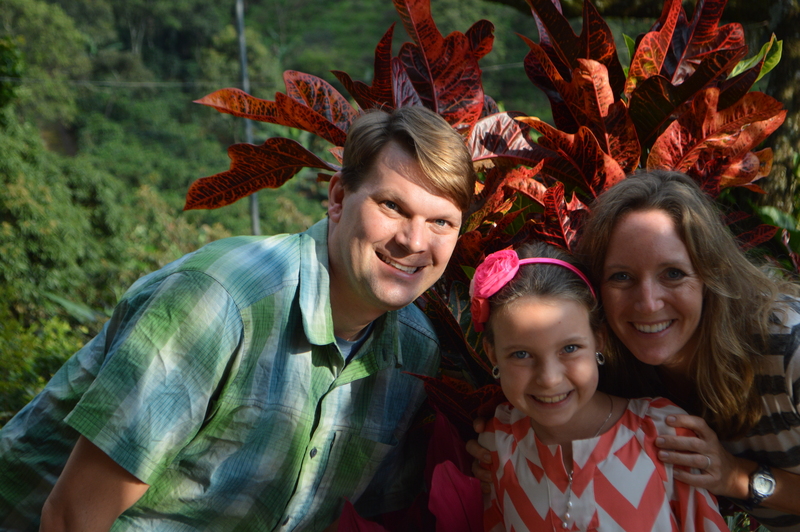 We had a whirlwind tour of Costa Rica in the short time I was there, but I liked the Toledo coffee farm the best. Thanks for suggesting that!